Some 53 per cent of Canadians say rising borrowing costs haven’t had a negative impact on their personal spending, according to a survey by Nanos Research taken earlier this month. Around 43 per cent of respondents say they are feeling at least somewhat of a pinch, with the rest unsure. While the numbers show a slight deterioration from a survey three months ago, the largely stable levels of consumer discomfort -- despite a fresh rate hike in July -- may give Bank of Canada Governor Stephen Poloz confidence to carry on with gradually returning borrowing costs to more normal levels. Poloz has raised rates four times since summer 2017, and investors are betting on at least one more increase this year, most likely in October. The central bank has been closely monitoring the impact of higher interest rates on households, worried that current high levels of debt mean the hit on personal spending will be amplified. That risk is one of the reasons Poloz has taken a gradual approach to raising interest rates from historically low levels, even with the economy near its capacity. Households have taken advantage of exceptionally low borrowing costs since 2008 to accumulate a record $2.1 trillion in debt, mostly mortgages. That’s left Canada with a ratio of household debt to gross domestic product of about 100 per cent, the highest in the Group of Seven, according to data from the Bank for International Settlements. And the heavy debt burden is already beginning to curb demand in the economy, the Nanos polling suggests, particularly in heavily indebted demographics. The impact is highest in Quebec, with a majority in that province saying they are spending less, and individuals aged 35 to 54, a group which holds the highest share of outstanding mortgages. The full extent of the impact, meanwhile, remains to be seen. Only about half of mortgages in any given year are affected by increased borrowing costs. At the same time, there isn’t much evidence of a sharp deterioration. 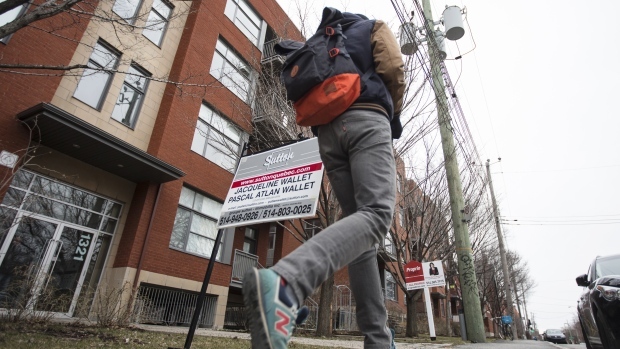 The share of people saying they haven’t been negatively impacted by the higher interest rates was 56 per cent in May, three percentage points higher than the latest survey. The change is within the 3.1 percentage point margin of error for the poll. Nanos conducted the polling on behalf of Bloomberg between July 30 and Aug. 5 (the last rate hike was July 11). The following are the results from the hybrid telephone and online survey of 1,000 Canadians.